Popular sized hoist rings (1/2-13 through 1-8) are offered with two or more length bolts. Use the longer lengths with softer parent materials, the shorter lengths with hard materials such as steel. 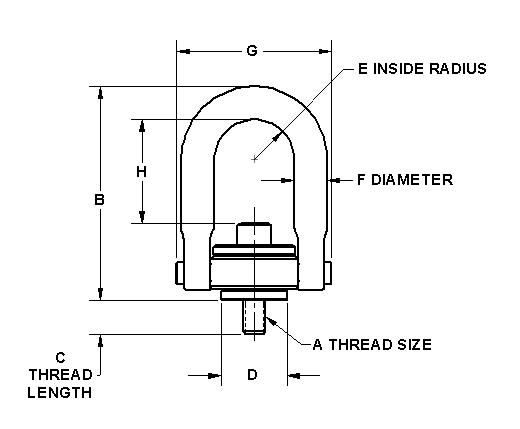 (1) Stated load capacity based on recomended thread torques as shown in chart.